YELLOW CANARY SIMULATED DIAMANTE CZ RING - Special! This awesome ring appears to be the real thing! 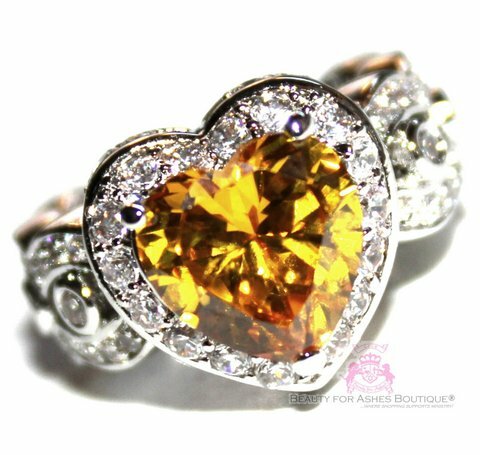 Gorgeous mini czs in clear and and a beautiful deep canary yellow heart CZ.